After you have submitted your contact information please purchase the class by clicking the PayPal purchase link below. Mindful Awareness Practices are the signature educational programs of UCLA’s Mindful Awareness Research Center. These six-week class are taught on throughout Los Angeles and on the UCLA campus. The series creates the foundation for students to understand basic principles of mindfulness, develop a personal meditation practice, and apply the principles in their daily lives. The MAPs I course is an excellent introduction to mindfulness. It’s also appropriate for experienced practitioners who wish to revitalize their practice. The class is suitable for ages 16 and over. Class Structure: Each class is a combination of lecture, practice, group feedback and discussion. MAPs is taught in a context of a supportive community environment with classes no larger than 30-40 students. Classes are six-weeks long and meet once per week for two hours. Students also practice meditation at home starting with five minutes a day and working up to 20 minutes a day by the end of the course. Students attending an in-person Maps I class receive a complimentary home practice CD. This six-week, follow-up class to Maps I focusses on how to maintain and sustain a daily mindfulness practice. Students deepen their meditation practice by learning how to develop more concentration and bring more wisdom and compassion to their practice. Students also learn additional techniques to bring mindfulness into their daily life. The class format is similar to Maps I and includes a combination of lecture, practice, group feedback and discussion. The class, which meets once a week for two hours, is taught in a supportive, community environment. Pre-requisite: Attendance in a Maps II class requires students to take any introductory MAPs I series or equivalent introductory mindfulness class with permission from our instructor. If you have not taken a MAPs I class at MARC, please email us a brief description of your equivalent experience to marcinfo@ucla.edu before class start date. Refunds requested prior to two weeks before the first day of class will be assessed a $25 administrative fee. We regret that we cannot give refunds after this date. There will be a $25 administrative fee to process refunds. Refunds should be requested by emailing: kelly@kellybarron.com. MARC reserves the right to cancel a class due to low enrollment. Registrants will be notified in advance if this occurs. • Missing or postponing a class: If you miss a class, you may make it up during a current series offered through MARC or the series immediately following. No refund or prorate will be issued for missed classes. Students may postpone a class series. In this case, credit towards a future class series will be provided if a registrant notifies me by phone or email in advance of 5 p.m. on Friday of the first week of the class series. Future classes must be made up on the class immediately following the missed class series. (For example: If postponing a May/June class series you will have to use your credit and enroll in the July/August class series) No exceptions. MARC offers various discounts to our community. Everyone will need to show proof for any discounts claimed (this includes those who have prepaid with a discount). For MAPs registrants, you must present this proof by the second class or the discount WILL NOT be honored. • UCLA Students — full-time or half-time at UCLA. Includes Graduate students. ID required. The Mindful Awareness Practices discussed and offered on this website do not constitute professional medical advice and should not be used as a substitute for medical diagnosis, advice or services. nearly 20 years. 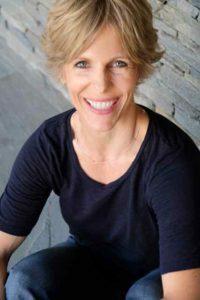 She is a UCLA certified mindfulness facilitator and an Inner Kids trained teacher who facilitates mindfulness in schools, corporations, privately and for eMindful, a provider of online mindfulness programs worldwide. Kelly came to understand the importance of living mindfully and managing stress while working as a deadline-driven journalist. A former associate editor and staff writer for Forbes magazine, Kelly understands how to apply mindfulness in professional settings and draws upon her journalistic curiosity as well as her experience as a mother and a lifelong athlete to inform her work. Kelly holds a B.A. in philosophy from the College of William and Mary and an M.A. in journalism from the University of Missouri. She also holds a training certification from the American Council on Exercise with a specialty in Orthopedic Exercise. Kelly has developed and facilitated mindfulness programs for organizations such as Milbank, Orrick, the Broad Center and the Skirball Cultural Center as well as for numerous professional associations and for writers and screenwriters. She facilitates mindfulness in schools, working with teachers, administrators and students, on an ongoing basis throughout Los Angeles.